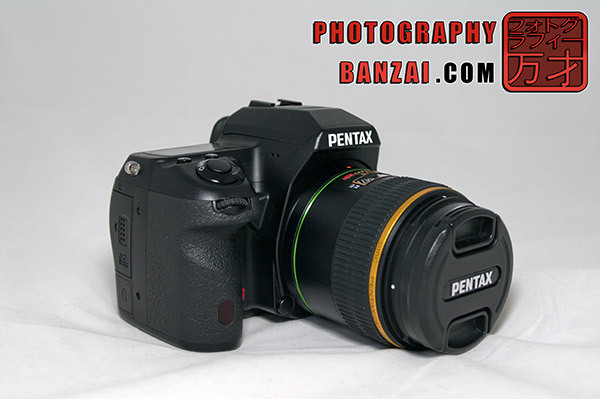 ← Help assemble a Google Map for finding Pentax DSLRs locally! 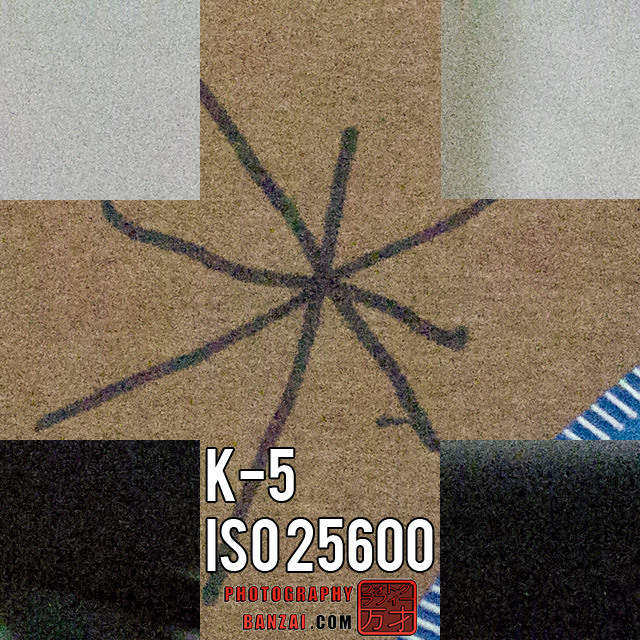 While the K-7 was being developed in between the Hoya acquisition, the K-5 was a full Hoya/Pentax product. It is unclear whether Hoya put any input in on the K-5, but the results probably speak for themselves. The K-5 is a revisionary upgrade with focused improvements on image quality and camera speed more than anything else. It was moved closer to the high level APS-C cameras such as the Canon 7D, or even some full frame cameras in a few technical aspects like dynamic range. The K-5 has all of the benefits in ergonomics of the K-7, but with the imaging sensor advances Sony brought to the table. While I was reluctant to pick up a K-5 when I did due to the price premium it held for a long time, I eventually bit the bullet and bought one locally at a good price, offsetting the cost with a few trade-ins. While the cameras look similar, there is internal improvement in every other aspect from user customization to the result quality. When you get a chance to use the K-5 and analyze the results, it is easy to see the benefit of upgrading. The K-5 is the successor to the K-7. They share the same physical body construction with a few slight modifications such as a larger control dial and an easier to use auto-focus switch. While those little changes were helpful, all of the important game changing innovation is internal. The main control dial is on the top left with modes Program (P), ISO priority (Sv), shutter priority (Tv), aperture priority (Av), shutter and aperture (TAv), manual (M), bulb (B), x-sync (X), custom settings (USER), Movie, and auto. The dial itself has a locking button to stop accidental changes that is helpful. The dial is pretty easy to use now that it is physically taller on the K-5 compared to the K-7. Below the main dial there is a switch to change the metering mode between spot, center, and matrix. Also near by are the two buttons that control image review functions. The USER mode can have 5 nameable blocks of custom settings. For example, you can have a setting block for add-on flash and another for shooting macro photos. When the dial is on USER mode and you turn the camera on, the rear display will turn on and allow you to first select which setting block to use. This can be somewhat of a pain when I forget and end up changing to another mode I didn’t intend on. I think a new physical control dial just for user blocks would have been the ideal solution (something they did implement with the Pentax Q). The shutter button and on-off switch combo are like all other Pentax DSLRs. The K-5 has the exposure compensation and ISO buttons directly behind for easy access. They act as toggle buttons to temporarily allow changes to each setting by holding the button down and using the rear scroll wheel. The K-5 comes with two wheels for changing settings depending on the mode selected. When in manual for example, the rear wheel controls aperture and the front controls shutter speed. To control ISO you hold the button down and use the rear wheel as usual. On the back panel to the right where the thumb has access, most of the buttons reside. Auto-exposure lock (AE-L) is on the top to the far right. 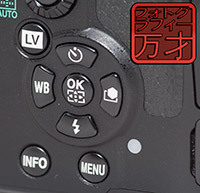 To the left and down, the special “green button” that is a quick way to reset or provide a single automatic set of exposure (a special feature of Pentax cameras). Then there is the auto-focus button with an auto-focus mode dial for selecting either center point, selectable point, or auto mode. The live view button is situated between the auto-focus selector and four-way control buttons. It is in somewhat of an awkward position and can sometimes be accidentally pressed. 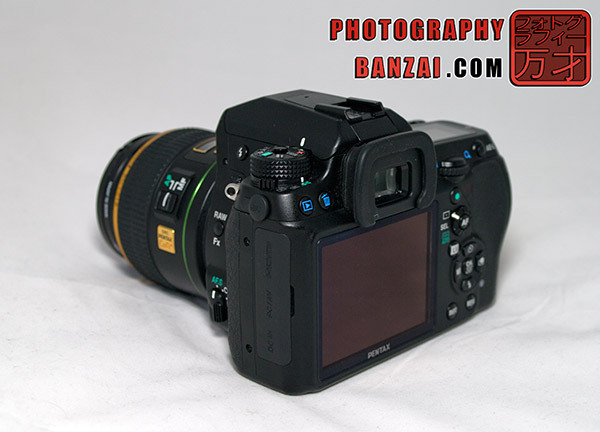 The four directional buttons have multiple functions such as controlling white balance, timer, flash, and image tone. When in selectable-autofocus mode you will need to press the center OK function to access the opposing set of functionality depending on which configuration has priority in a custom setting. There are a few more buttons such as the info, menu, and RAW. The RAW button also has the designation Fx where you can select 5 other custom functions for it beside RAW/JPEG control. Info has various levels of functionality from informational to zooming in when live view or movie more are active. – Video mode could use improvement. While the camera has 1080p video, it only has it in 25fps. It does not allow for direct user control of shutter speed or ISO. The camera could also benefit from a dedicated video record button. – When in selectable point auto-focus mode, the buttons used for direction have too much function applied to them. For example, if you want to change white balance or image tone you need to hold the OK button for a few seconds and then the camera switches to the other functions. To switch back to point selection you need to hold the OK button for another few seconds. While it works alright it isn’t that intuitive. – Like the K-7, the SD card slot can be a bit difficult to pull cards out if you don’t have the right technique. – The K-5 is probably the smallest semi-pro body out there. It has the advanced features and things you would expect from this class, but without the extra bulk. To me, this is probably the main reason someone would consider switching from other brands for the K-5. If you find yourself not taking your camera out as often as you are able due to size or usability, but still want pro features and build quality, the K-5 sounds like a good match. – That Sony sensor has great high ISO and dynamic range. Given that many of the full-frame cameras out at the moment are a bit long in the tooth, the K-5 sensor is a good match against them. Of course, that doesn’t mean you can make up from depth of field differences or expect a smaller sensor to truly match FF in high ISO. Don’t forget other limitations like a smaller viewfinder compared to FF. – Being in a system that has a smaller user-base can be challenging sometimes. For example, we don’t have any 3rd party RF flash triggers that support full P-TTL wirelessly like those Pocket Wizard products do with Canon and Nikon. The same could be said for the level of tethering software support (there are one or two options for Pentax though). 3rd party lens support isn’t quite as good either, but we do have some of the lenses offered by Sigma and Tamron. 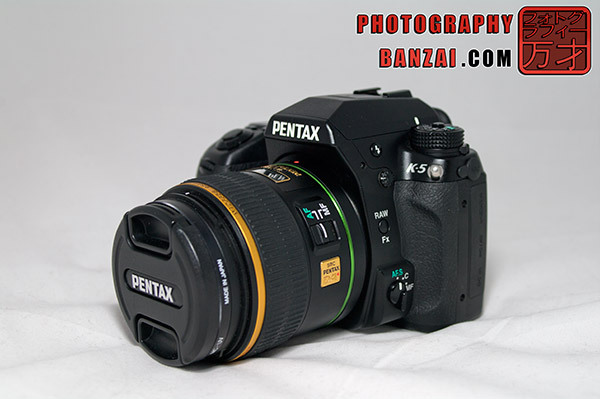 Tokina seems to have some type of design relationship with Pentax, so they don’t sell Tokina for Pentax mount anymore. That might change with Ricoh in control, we will see. – Pentax is now Ricoh and they sound serious about the 35mm SLR system. Pentax should be much better off now that Hoya is gone. I expect good things in the future for Pentax equipment. The funny thing is Ricoh used Pentax mounts in the past with things like the R-K mount. The photos were taken with a DA* 55mm f1.4 @ f2.8 and cropped in a special Photoshop action. The crop action takes a 640 pixel square center section and then pulls in sections from the corners, pasting it all together giving 100% crops. The camera was focused once and then placed in manual focus. A 2-second timer was used to minimize camera shake and internal SR was turned off. The settings “High ISO Noise Reduction” and “Slow Shutter Speed Noise Reduction” were both set to AUTO. Click on each image to see the larger version in a new window. The camera is a great value right now with recent price reductions. While it is probably going to be replaced in the not too distant future, it still has the best APS-C image quality around at the moment (along with its sensor sibling the Nikon D7000). If ergonomics, semi-pro features, good still photo control, and image quality are important to you, you can’t go wrong with the K-5. Pentax “pancake” lenses like the 40mm f2.8, 70mm f2.4, and 21mm f3.2 are a perfect match for unobtrusive shooting, but throw on a grip and large aperture lenses like full-frame 85mm f1.4 will still balance in the hand nicely. The K-5 is one of the true take anywhere transformer DSLR cameras. Anymore mobility and you will probably be losing important semi-pro features and speed. 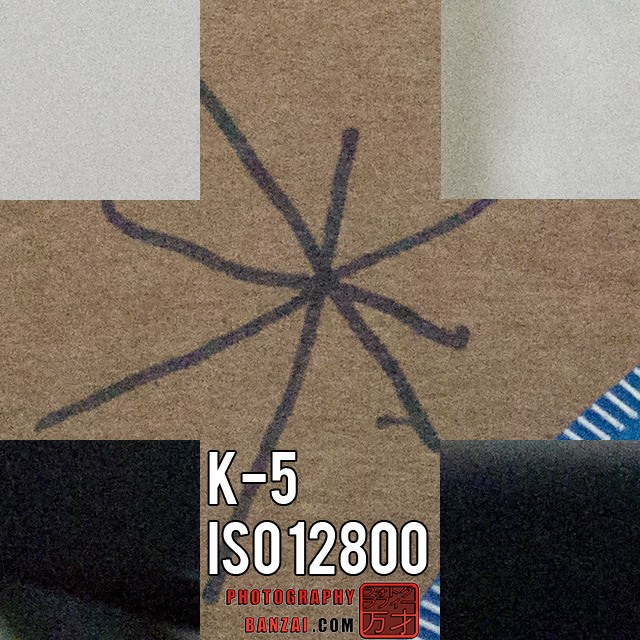 This entry was posted in Camera, Reviews and tagged k-5, k5, pentax, review. Bookmark the permalink.